Grab your Free Bestseller Guide NOW! 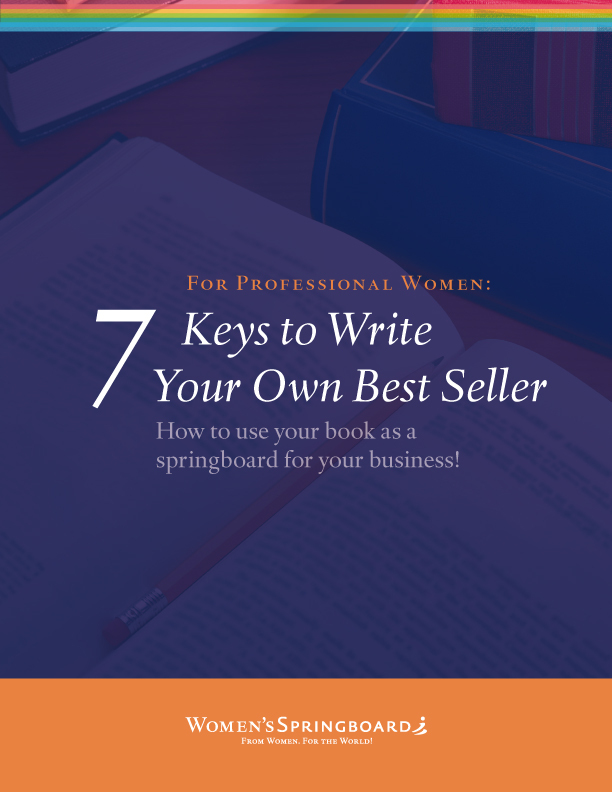 Women’s Springboard is both a professional network AND a publisher. Women’s Springboard gives more visibility to professional women who want to grow as leaders, share their wisdom and expertise with the world, expand their businesses and get in front of their ideal clients! Women’s Springboard connects women today to influence our future. Women’s Springboard’s vision is to have a world where every human is treated equally and respected. Women’s Springboard inspires and motivates women to make their mark in the world. It encourages women to grow, be visible, shine and contribute their unique expertise and influence with strength and compassion to help the world evolve into a place where everyone can realize their potential and enjoy their lives. Women’s Springboard is a platform aimed at inspiring and empowering women professionals who may be struggling to be seen as experts in their field. This platform acts as a “springboard” for getting their message out into the world so that they can share their wisdom and expertise, be visible to their ideal clients, enjoy financial abundance and contribute to making the world a better place. – ensure that women have the tools and resources they need to realize their potential. Women’s Springboard promises to share 10% of the company’s profit to support women in spreading their message. Ulrike Weigel founded Women’s Springboard in 2018. She is a brand developer and business designer with an extensive network in both German and English speaking countries.